You’re always wary going into a book on ‘leadership’, with so much waffle getting passed off as new ideas these days. Having read Learning Leadership - the five fundamentals of becoming an exemplary leader, I’m happy to say I stand corrected. It does pretty much what it says on the tin. Encouragingly for those people who think leadership requires a bucketload of charisma or a particular set of personality traits, the book states from the start that everyone has it in them to be a leader. It stresses leadership is not about personality, it is about behaviour. The book dives straight into an exercise that has the reader identifying their inner leader and bringing it to the fore. In reference to their "Personal-Best Leadership Study", the authors ask the reader to identify one moment in their life where they experienced a moment of true leadership. It doesn’t have to be in your current job. It could be previous roles, at home, school, anywhere. We’re then asked to match this experience to certain characteristics. By understanding how and why you nailed that particular moment it shows that leadership really is within everyone. It is teachable. Getting right in there at the start of the book with a practical demonstration like this was so important. I can’t have been the only person who views these books with scepticism. Kicking off with this example really helps you buy into the whole concept. The book is full of practical exercises like this and although some of the themes can seem a bit obvious on paper, they are good reminders of things that perhaps you’ve let slip. It’s a light and easy read but is sometimes a little patronising with all its checklists and repetition. That said, if you’re going to make sure that a topic that has a tendency to descend into psychobabble is treated in a practical, teachable way it’s something you probably have to put up with. There are a few sketched examples of leaders the authors have interviewed but they’re not well-known figures. I’d liked to have learnt more about what makes some of the world’s more enigmatic leaders tick. The book is for everyone, whatever stage they’re at on their leadership journey but I found it particularly useful in the context of building leadership succession within my team. Leadership isn’t just about forming your own values, vision and goals. It’s helping your team meet their goals too. This is summed up quite nicely in the concept that, you aren’t leading if no one is following, so engaging your team is paramount. Sometimes we can forget that when we’re focusing on the bigger organisational picture. It’s also not an easy win, this leadership thing. 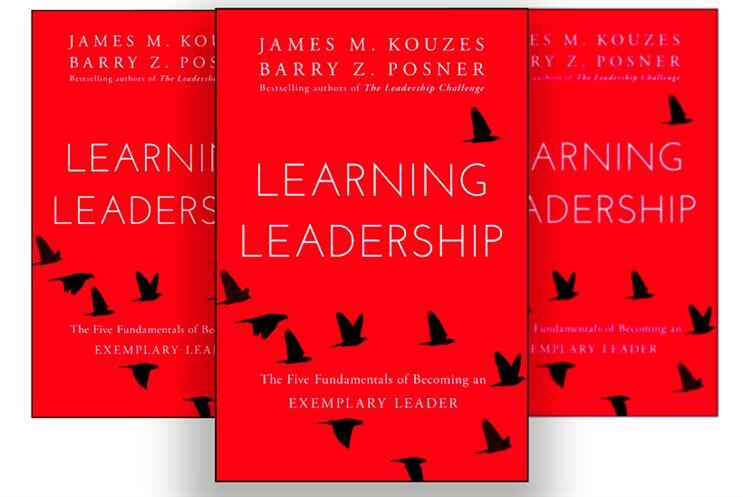 The book may be an easy read, you can feel free to dip in and out whenever, but it’s at pains to point out that learning leadership is not a one- book-and- you’re-done deal. A couple of seminars does not a leader make. The upside is that you are able to learn leadership, but we should be clear this is a continuous learning process and one which requires time and energy on an ongoing basis. Everyone can be a leader and recognising that will make a fundamental difference to your own personal satisfaction as well as the health of your business. Believing point one is the biggest hurdle you’ll have to overcome on your leadership journey. Once you do that, implementation is relatively straightforward. But it’s not an easy win. Learning leadership will take hard work and is part of a long-term journey that is never really over. Learning is about failing. You’ve got to get comfortable with that. Don’t be embarrassed by your failures. Learn from them and move on. The fact that you’ve started on a leadership journey isn’t the point. Everyone can start something - a diet, a painting. It’s getting on and doing it and completing it that matters (even though we’ve said you’re never really finished!). Sit down and think about examples of where you’ve excelled at leadership. It’s incredibly motivating. We’re always looking for validation externally but this is one thing you can do to validate yourself, authentically.